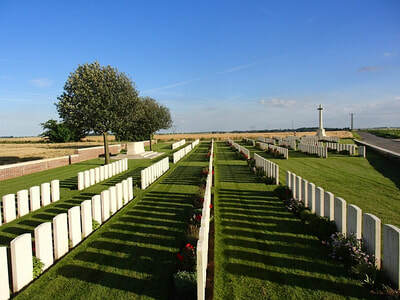 This cemetery is near the village of Beugny, 19 kilometres south-west of Cambrai on the Bapaume-Cambrai road (RN30). The RD20 Haplincourt/Roquiny forms a T junction with the RN30 at the Mairie in Beugny. The Cemetery is signposted at this point and is 1 kilometre from the T junction leaving Beugny on the RD20 in the direction of Haplincourt. 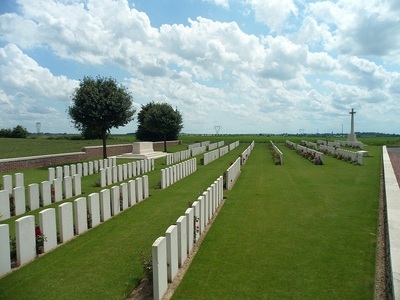 The cemetery is on the left adjacent to the RD20. Delsaux Farm was a point on the German defensive system known as the Beugny-Ytres line, which was reached by Commonwealth troops on 18 March 1917, and passed on the following day. 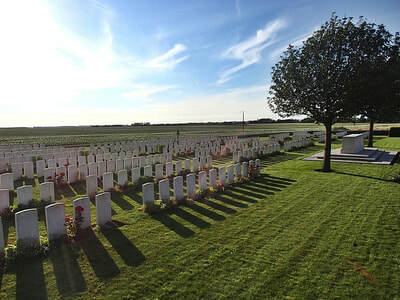 The farm was lost on 23 March 1918 after the gallant defence of Beugny by the 9th Welsh Regiment and their withdrawal, but it was retaken by the 5th Division on 2 September 1918, and on the next day the same division occupied Beugny village. After their advance in March 1918, the Germans made a cemetery (Beugny Military Cemetery No.18) at the cross-roads, and in it buried 103 Commonwealth and 82 German dead. 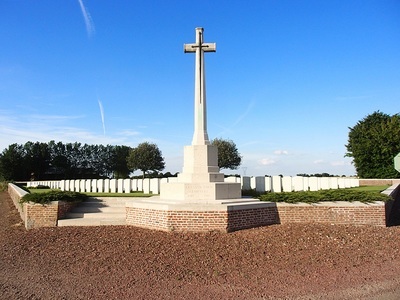 The site was extended in October - November 1918 by the 29th and 46th Casualty Clearing Stations, which came to Delsaux Farm and made the present cemetery. 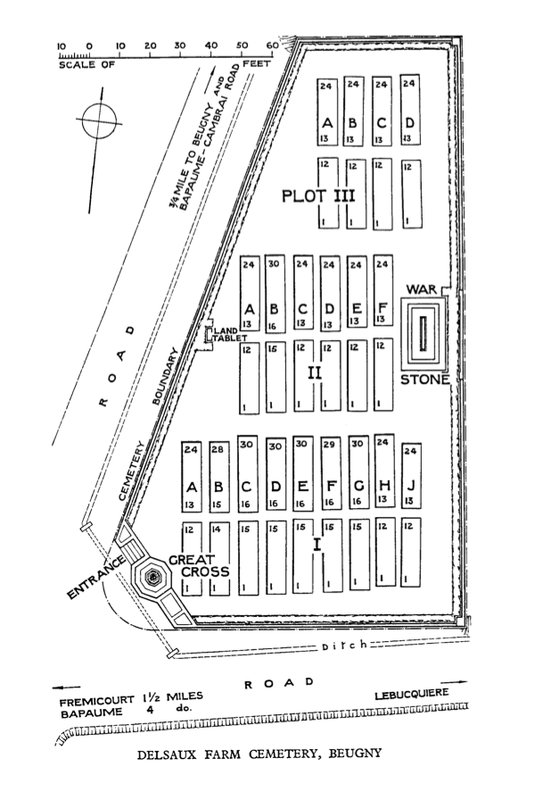 A little later, the German graves of March 1918 were removed and the 103 Commonwealth dead reburied in Plot I, Row J, Plot II, Row A, and Plot III, Rows B, C and D. The rest of the cemetery was made when graves were later brought in from the battlefield. 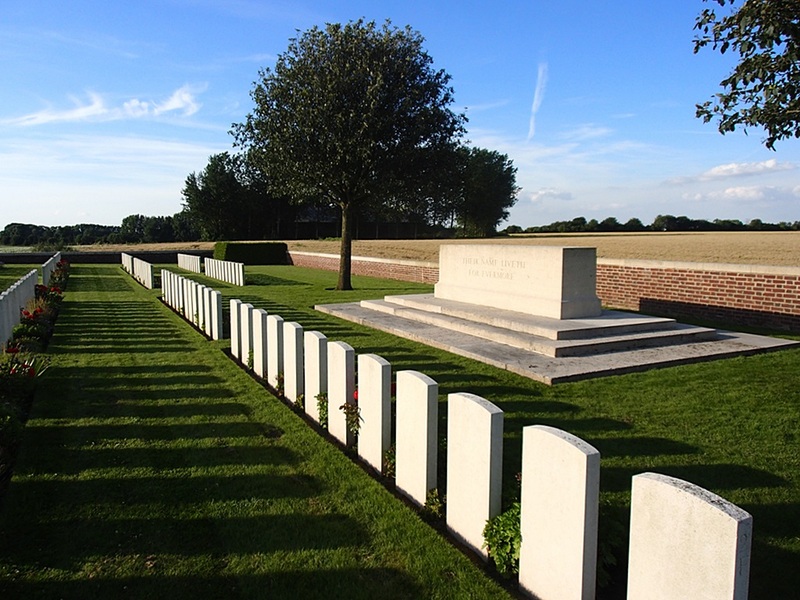 Delsaux Farm Cemetery contains 495 burials and commemorations of the First World War. 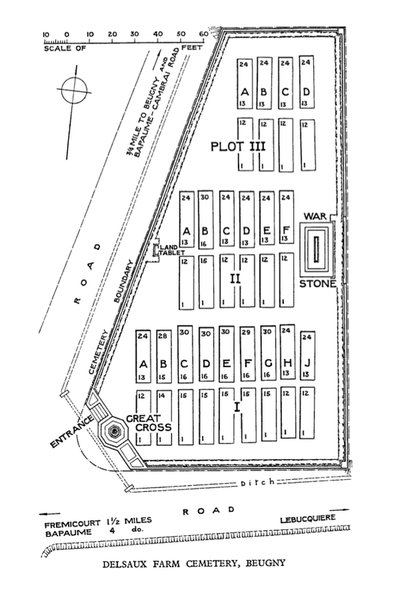 61 of the burials are unidentified and 32 others, identified as a whole but not individually, are marked with headstones inscribed "Buried near this spot". 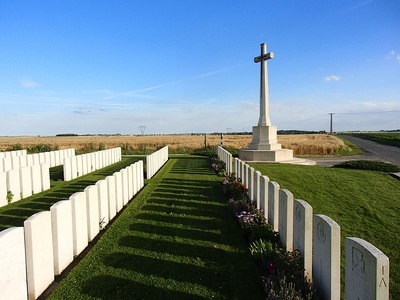 View of Delsaux Farm, near Beugny, France. From trenches at this farm the Germans retiring from Bapaume first seriously opposed General Elliott's column. The whole plan of the enemy's retirement was found on the body of a German who was killed here. 2nd Bn. Otago Regtiment N. Z. E. F.
24th October 1918, aged 24. 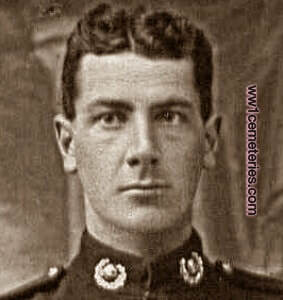 Son of Thomas and Jemima Cotter, of Arrowtown, Otago, New Zealand. 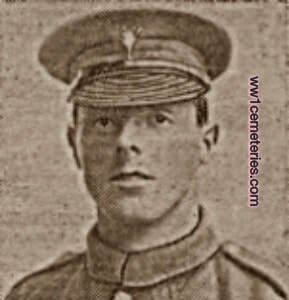 7th October 1918, aged 26. 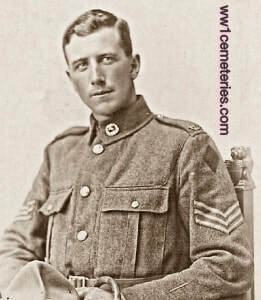 Husband of Grace E. Eagle, of 21, St. Leonards Hill, Edinburgh. 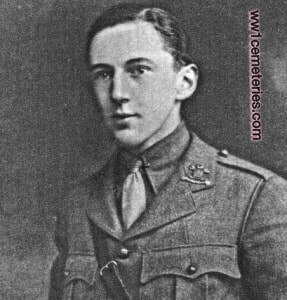 Daniel Evans Jones, M. M.
14th October 1918, aged 27. 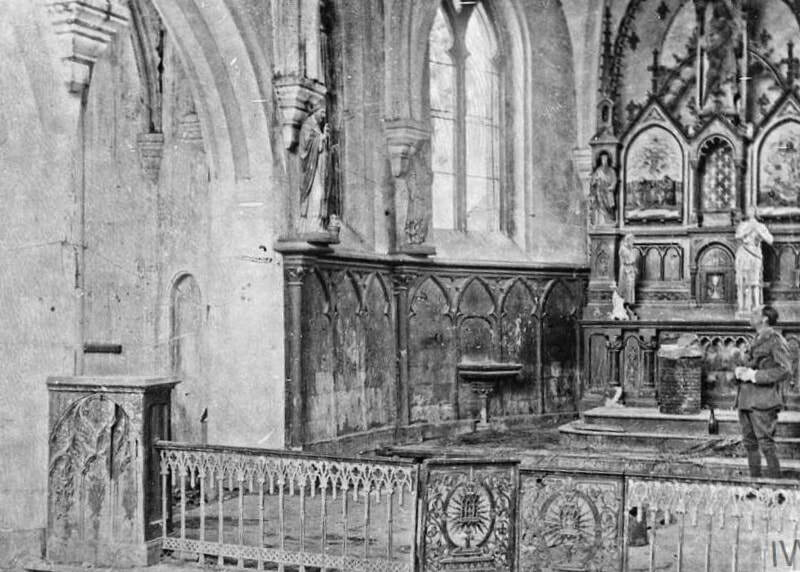 Son of Richard and Margaret E. Jones, Glanyrafon, Llanbadam, Fawr, Aberystwyth, Cardiganshire. 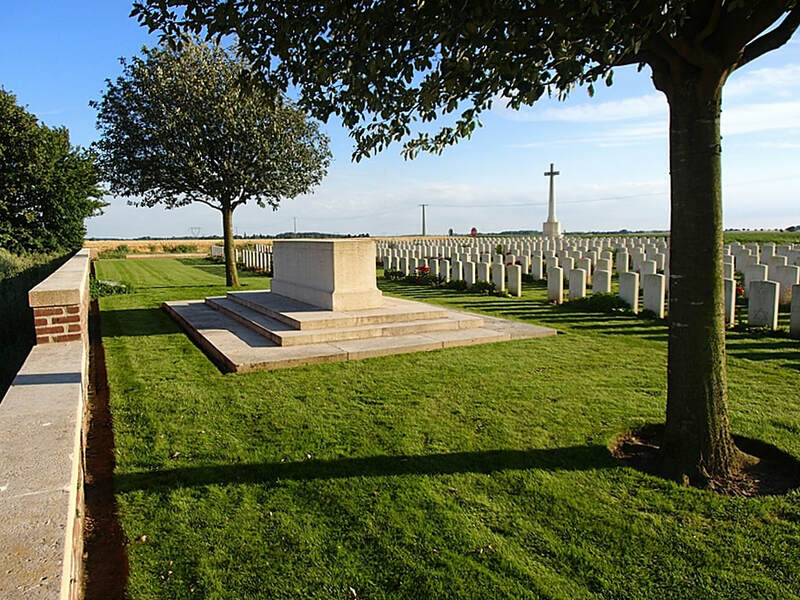 His headstone reads; "Gwyn Ei Fyd" which roughly translates to "Blessed"
Garstang Bradstock Lockett, M. C.
4th November 1918, aged 20. 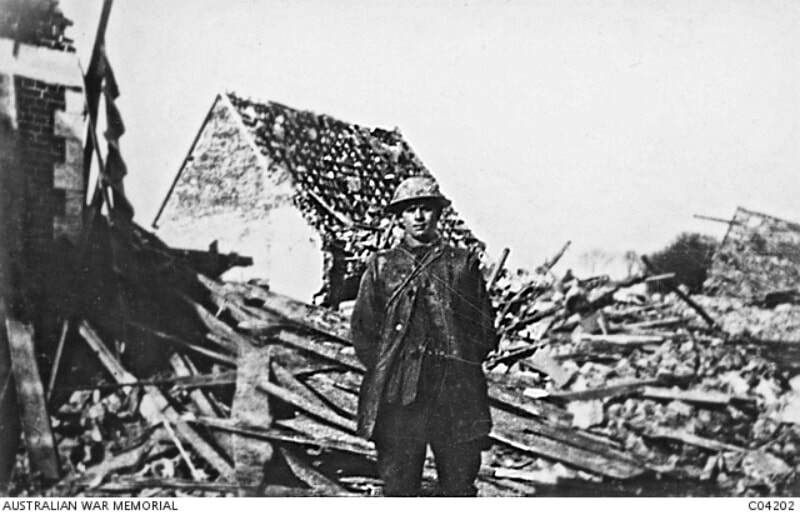 The ruins of the village of Beugny after the enemy evacuation in April 1917. 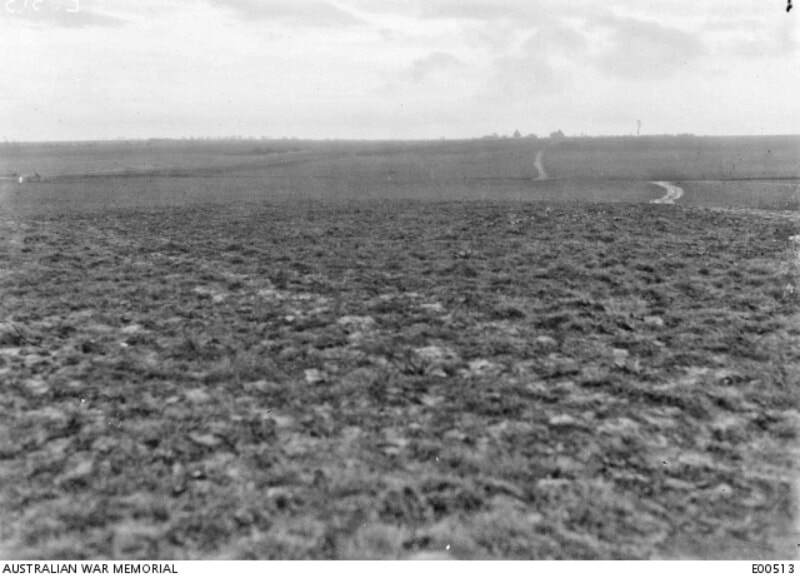 The Corp's system of defence constructed by the Australians in this area in June and July 1917, assisted materially in halting the great German advance in 1918.